What are the benefits and side effects of it? And the most important question of all... how much caffeine content is in your cup of tea? These are all perfectly valid questions that need to be answered especially if you are sensitive to caffeinated drinks. Come and learn about the caffeine levels in tea! How Much Caffeine is in Your Tea Cup? As you may know there are four main types of tea – black tea, green tea, white tea and oolong tea. While you may be conscious that black tea has caffeine, you may be unaware that there is caffeine in green tea and all other types of tea, too. So next time you find yourself unable to sleep at night, you should look at how much tea you have been drinking. So remember, all teas contain caffeine. Yes, there is even caffeine in white tea. Measured by weight, tea leaves contain, on average, 3% of caffeine, but the numbers vary according to soil chemistry, type of tea plant, how they were cultivated and processed or altitude. The size of the leaf is also quite important to determine the quantity of caffeine in tea. For example, if you have the chance to drink the brew from the leaves of the Assam tea plant, also known as camellia assamica, more caffeine content will be released in your cup, due to its larger leaves. On the other hand, camellia sinensis, the Chinese tea plant, is smaller; therefore, its caffeine content is lower. …how much caffeine you are consuming per cup of tea. Water temperature and steeping time also influence the amount of caffeine in tea. The longer you steep your tea and the hotter your water temperature is, the more caffeine is released into your cup. That is one of the reasons green and white teas have lower caffeine content. They are both very delicate and steeped for shorter times at cooler temperatures to protect the leaves and flavour. 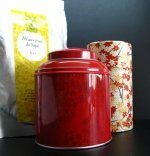 Keep in mind that when brewing your leaves several times, the quantity of caffeine in tea will diminish. If you just love the thrill caffeine gives you then don’t worry. Yes, the caffeine in tea, when consumed in recommended amounts, has actually several health benefits that we are pleased to show you. Do you feel like caffeine is your best friend in those difficult mornings you just want to stay in bed and sleep? Does it help you get through your day? Caffeine may be a great ally and tea offers a wonderful coffee alternative when it comes to giving you the energy boost you need in the morning. 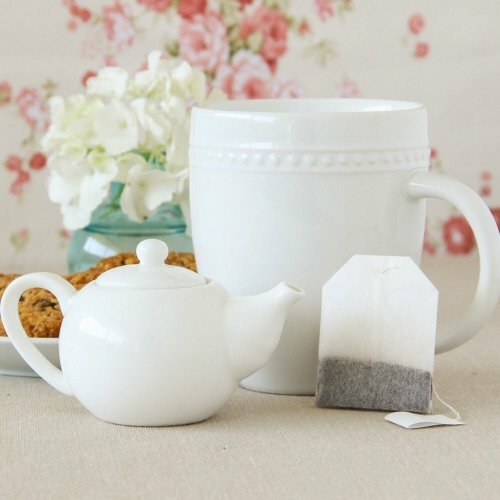 Caffeine in tea will allow you to stay alert and focused throughout your day. Next time you are enjoying your breakfast try drinking a cup of tea instead of coffee. Caffeine in tea will be progressively released into your system during the day, so you won’t be feeling the constant need to have another cup. Keep your energy and focus all day and enjoy one the best pleasures of life! When consumed wisely, caffeine is a healthy stimulant that may help your heart gain strength and vitality. Caffeine combined with the amazing antioxidants in tea protects your heart and helps it fight cardiovascular diseases. Do you want to lose some extra pounds? Caffeine is the perfect ingredient among fat loss diets. Caffeine has the ability to boost up your metabolism, allowing it to burn fat much faster. Imagine you are planning to work out: try drinking a couple of cups of tea before leaving. Caffeine combined with its powerful antioxidants will help you burn fat and build muscle in a healthy way. The caffeine in tea not only has the ability to increase the efficiency of pain killers but it is also considered a strong pain reliever for problems like migraines or exhaustion. If you are feeling tired or sensing one of those terrible headaches coming, grab a cup of tea and enjoy it. Push pain aside and let this pleasure embrace and protect you. Have you tried meditation? Combine a relaxing moment with a cup of tea. It may help reduce the risk of Parkinson’s disease. It may improve your memory by enhancing the growth of brain cells. It may prevent muscle damage and increase muscle strength. If you are sensitive to caffeine, you shouldn’t drink tea or any other drink that contains caffeine close to your bedtime. It will lengthen the time you take to fall asleep. Drink tea during the day. It is safer. Don’t forget that tea, besides containing caffeine, also has an important amino acid named theanine, which has the ability to relax you. And if by chance you are looking for a natural sedative to help you sleep, stay in our tea world. Valerian tea may be the right tea for you. Natural, inexpensive and a great insomnia help. It can help you sleep and do much more for you and your family in terms of rest and relaxation. If you are expecting or breastfeeding you must reduce your caffeine intake to one or two cups of tea per day. Caffeine consumption has been associated with prematurity, poorer reflexes or under weight babies. It may also reduce foliate level and lead to neural birth tube defects. So be sure to always consult your doctor about this to find out what is best for you and the bouncing baby that is making its way into your life. Now this is the big drawback about caffeine in tea. If you consume high amounts of caffeine you may experience some unpleasant side effects such as: restlessness, headaches, agitation, tremors, panic attacks, nausea or vomiting. You will increase your blood pressure and heart rate, which may lead to cardiovascular diseases. Keep it simple. Don’t overdo it. Go back up and check out our table again, choose white tea and don’t be afraid to go herbal! Most herbal teas have no caffeine content. Check out the stimulating powers of tulsi tea (also known as holy basil). Tea and Coffee have been a part of our lives for a long time. However, if you are planning to choose your daily drink for health reasons, you should go with tea. Despite its caffeine content, tea offers you a wide range of antioxidants, minerals and vitamins that linger in your mouth every sip you take. Tea is known for its ability to fight cancer, to reduce cardiovascular diseases or to be a natural rejuvenator due to its famous antioxidants. Coffee, besides its caffeine content, doesn’t offer you these health benefits. It is a much dangerous stimulant and it is addictive. Looking for decaffeinated tea? Try it here! Tea can take us around the world, from country to country, from leaf to leaf, waiting to unleash its history into your cup and its immense healing power inside you. 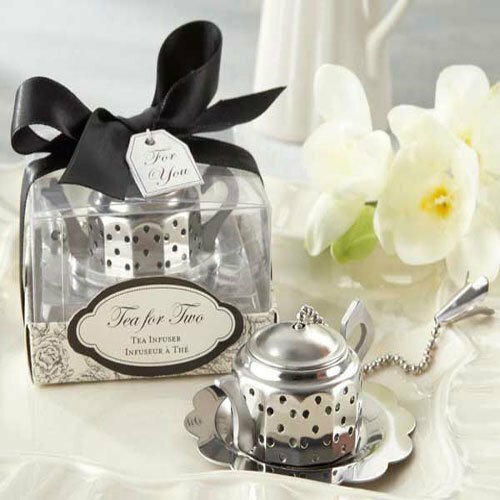 Drink a cup while you take part in another adventure in this magical world of tea.